Home SEO How to clean up bad backlinks using SEMrush? A backlink is the most common word used in the blogging world. Many bloggers who have recently started a blog or a website often struggle to understand what the term backlink means. Well, a backlink is nothing but the incoming links to the web page. When a webpage links to any other page, it’s called a backlink. Backlinks are an essential part of SEO process. They help search bots to crawl your site and rank it correctly to its content. Each backlink is a part of a ranking puzzle. That’s why every website owner wants to get as much as possible backlinks in order to improve the website’s SEO ranking factors. Building quality backlinks to your website is always beneficial for ranking higher in Google. But what if you have numerous quality links and still, not ranking well in SERP? What may be the issue? So, the issue is bad backlinks. In the list of quality backlinks, there might be a hidden bad backlink harming your SEO. What makes the links quality or bad? To analyze if a backlink is good or bad, it all comes down to the quality of the website linking to you. A quality backlink comes from relevant authoritative domains in your niche. If the website linking to your site has a high Domain Authority and has similar content, your backlink will be good for SEO. A bad backlink is a link that pulling your efforts back and damaging your SEO as well. It comes from unrelated and untrusted sources. Sites that have been penalized and those that are violating Google’s Webmaster Guidelines are bad backlinks. Having backlink from such sources may have a negative impact on your SEO. How to avoid Bad backlinks? To avoid having bad backlinks, you have to perform a quick website audit. There are many online website auditing tools available online. But, I personally refer SEMrush tool. 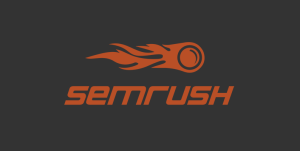 The SEO toolkit on SEMrush contains over 15 tools and reports to assist you in every step of optimizing a website for search engine traffic. Using the tool, you can access the largest keyword database on the market, backlink management tools, rank tracking, on-page SEO analysis and a technical SEO audit tool. 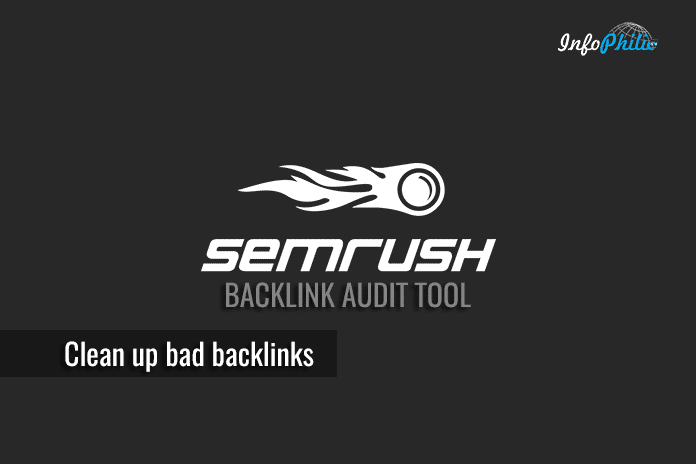 The SEMrush backlink audit tool takes a gander at your backlink profile with the end goal to enable you to stay away from Google penalties related to bad backlinks. The tool gives a work process to review the majority of your links, examine the lethal signs related with any suspicious links, send messages to site proprietors, and eventually make a deny record to send to Google. At very first, you have to configure your Backlink Audit Tool. This will be done in three easy steps. Once you have configured your Backlink Audit Tool, your backlinks will be listed in a table with three groups: For review, Whitelist, and All links. The ‘For review’ group includes the links that you are currently auditing. The ‘All links’ group will be there as your backup, as these links will always remain in your audit in the case of a mistake. Just below these three groups of backlinks, there is a filter tab and two labels: Domain and URL. The group of domains will incorporate backlinks attached to an alluding area, while the URL group will enable you to see the individual URL of your backlinks. The backlink audit tool sorts the toxic backlinks in order of Toxic Score, with the highest Toxic Score links being shown on the first page. The tool shows the audit in the form of a colored bar: Red, orange, and green: Red color shows toxic domains backlinks, Orange color shows potentially toxic domains, and green displays non-toxic domains. By hovering over the Toxic Score you will be able to see specifically which Toxic Markers are associated with that specific backlink. Pick out the links that you either want to keep in your whitelist, remove with an email request to a webmaster or disavow with the Google Disavow Tool. The green “Keep” tab will allow you to whitelist the backlink. On the other hand, Delete tab will let you disavow or remove the link via outreach. If you clicked on Delete, you will notice two option to send full domains as well as just URLs to disavow. I will recommend disavowing links at the domain level in order to prevent yourself from the risk. In order to disavow your unwanted backlinks, you will need to upload a properly formatted .txt file to the Google Disavow Tool. The Disavow report in the Backlink Audit tool will help you prepare a file with all of the backlinks that you want to remove from your site. Once you are done with creating a list of backlinks that you want to remove in your Disavow list, you will see a button in the top right that says “Export.” When you click on the export button, SEMrush will convert your Disavow list into a properly formatted .txt file. Next task is to upload that .txt file to the Google. Go to the Google Disavow Tool and choose the property that you want to disavow links from. After successful upload, click on Submit to submit the file to the Google. Note: Use this option with caution because accidentally removing or disavowing beneficial backlinks would be a mistake and your SEO would suffer as a result. Bad backlinks take a lot of time and effort. That’s why it’s essentially important to learn the way to remove them effectively. I hope this guide help you carefully choose backlinks with an end goal to optimize your site. You may also want to read my another guide on How to use SEMrush tool for better SEO of your blog.